Autophagy is a complex cellular process having multiple roles, depending on tissue, physiological, or pathological conditions. The precise and context-dependent regulation of autophagy necessitates post-translational, transcriptional and post-transcriptional regulators that are listed in various datasets. 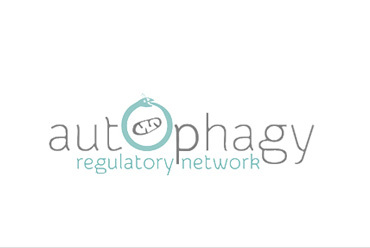 Prompted by the lack of systems-level autophagy-related information, we developed the Autophagy Regulatory Network (ARN). ARN contains manually curated, imported, and predicted interactions of autophagy components (1,485 proteins with 4,013 interactions) in humans. We listed 413 transcription factors and 386 miRNAs that could regulate autophagy components or their protein regulators. We also connected the above-mentioned autophagy components and regulators with signaling pathways from the SignaLink 2 resource.The database can be downloaded in SQL, CSV, BioPAX, SBML, PSI-MI, and in a Cytoscape CYS file formats. ARN has the potential to facilitate the experimental validation of novel autophagy components and regulators. In addition, ARN helps the investigation of transcription factors, miRNAs and signaling pathways implicated in the control of the autophagic pathway. The list of such known and predicted regulators could be important in pharmacological attempts against cancer and neurodegenerative diseases.